Marshall Islands, a set of Islands in the Pacific Ocean, West of the International Date Line and North of the Equator has a total land area of 70 square miles and a population of over 62,000. The Marshallese are Micronesians who migrated from Asia eons ago. Their stick and shell charts are an invaluable contribution to cartography and in earlier times they were an authority on navigation. Government assistance from US is the main contributor to the economy. The defense sites of US not only employs a sizable percentage from the Islands but also provide the land owners with rental fees. Tourism and fishing are the other mainstays of the economy. The important commercial crops are coconuts, melons, and breadfruit. Small-scale industry is limited to handicrafts, fish processing, and copra. Natural resources are almost non-existent with imports exceeding exports. The best time to visit Marshall Islands is between May and October for then the water is at their calmest. Their annual competitions involving the unique oceanic sailing canoe, the proa is a tourist attraction. Water is the biggest draw and divers find its charm irresistible. Majuro Bridge, Arno Atoll. Bokolap Island, Kalalin Pass, and the RRE pearl factory are the major hot spots of the place. The first stamps of Marshall Islands were a set of six stamps released in 1897 that were overprints on German Issues. The set (Scott #1 to #6) catalogs for around $500 mint and around $2700 used. The overprints read “Marschall-Inseln”. Marshall Islands became part of the protectorate of German New Guinea in the late 19th century following the sale of the territory to Germany in 1884 by Spanish. Spain claimed sovereignty over the territory in the mid-nineteenth century and the international community recognized it in 1874. The stamps were reissued between 1899 and 1900. That set (Scott #7 to #12) catalogs for around $70 mint and around $120 used. Overprints on this latter set read “Marshall-Inseln”. The first original issues of Marshall Islands were a set of thirteen stamps released in 1901 depicting Kaiser’s Yacht “Hohenzollern”. The set (Scott #13 to #25) catalogs for around $130 mint and around $870 used. Marshall Islands stopped issuing stamps starting in 1916. During World War I, Japan occupied parts of the Marshall Islands and made the atoll of Jaluit the administrative center. Following the war, the Council of the League of Nations approved a mandate for Japan to take over all former German colonies in the Pacific Ocean north of the Equator including the Marshall Islands. The Japanese constructed several air bases on its atolls prior to World War II. Following World War II, as the site of the Pacific Proving Grounds, the US tested 67 nuclear weapons in the area. By 1956, the Atomic Energy Commission regarded the Marshall Islands as the most contaminated place in the world. The country became self-governing in 1979 and it gained sovereignty in 1986. The islands restarted issuing stamps in 1984, although the USPS continued to carry the mail to and from the islands. A set of four stamps released on May 2, 1984 to mark the inauguration of the Postal Service. The set (Scott #31 to #34) catalogs for around $2 MNH or used. The designs show outrigger canoe, fishnet, navigational stick chart, and Islet. This issue was followed in the same year by another set of stamps showing Maps and Navigational Instruments. That set (Scott #35 to #49A) catalogs for around $10 MNH or used. A long set of seventeen stamps released between 1988 and 1989 in the Fish theme. The set (Scott #168 to #184) catalogs for around $35 MNH and around the same for used. The designs show damselfish, blackface butterflyfish, hawkfish, balloonfish, trunk fish, lyretail wrasse, parrotfish, white-spotted boxfish, spotted boxfish, surgeonfish, long-snouted butterflyfish, trumpetfish, sharp-nosed puffer, seahorse, ghost pipefish, big-spotted tiggerfish, and blue jack. A long set of twenty one stamps released between 1990 and 1992 in the Birds theme. The set (Scott #346 to #365A) catalogs for around $18 MNH and used. The designs show black noddy, red-tailed tropic bird, sanderling, black-naped tern, wandering tattler, bristle-thighed curlew, northern shoveler, brown noddy, sooty tern, wedge-tailed shearwater, Northern pintail, Pacific golden plover, brown booby, red footed booby, white tern, great frigate bird, great crested tern, lesser sand plover, little tern, Pacific reef heron, and masked booby. A long set of twenty eight stamps released between 1993 and 1995 showing Ships, Canoes, and other Vessels. The set (Scott #441 to #466B) catalogs for around $70 MNH and around the same for used. The designs show Spanish Galleon San Jeronimo, USCG Fisheries Patrol Vessel Cape Corwin, British Merchant Ship Britannia, Island Transport Micro Palm, Dutch Ship Eendracht, Frigate HMS Cornwallis, US Naval Schooner Dolphin, Missionary Packet Morning Star, Russian Brig Rurick, Spanish ship Santa Maria de la Vittoria, German Warship SMS Nautilus, British Brig Nautilus, Japanese Warships Nagara, Isuzu, Trading Schooner Equator, Aircraft Carrier USS Lexington CV-16, HMS Serpent, Whaling Ship Potomac, Coast Guard Cutter Assateague, British Transport Scarborough, Whaler Charles W. Morgan, US Steam Vessel Tanager, Walap, Wniwetok, Barkentine Hospital Ship Tole Mour, Walap, Jaluit, Marshall Islands fishing vessels, Schooner Victoria, Tipnol Ailuk, and Racing Canoes. Marshall Islands uses US Dollar as its standard coinage. Marshall Islands Coinage for the numismatic market was issued in the 1980s and 1990s and they generally trade for a slight premium over bullion value. 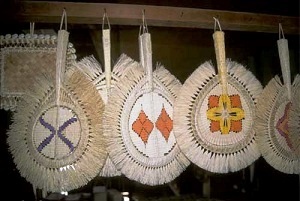 Handicrafts are the typical souvenir from the place. Miscellaneous Collectibles $5 and up WW picture cards, flags, radio cards etc start around $5. Original WW photos and other militaria start around $20.